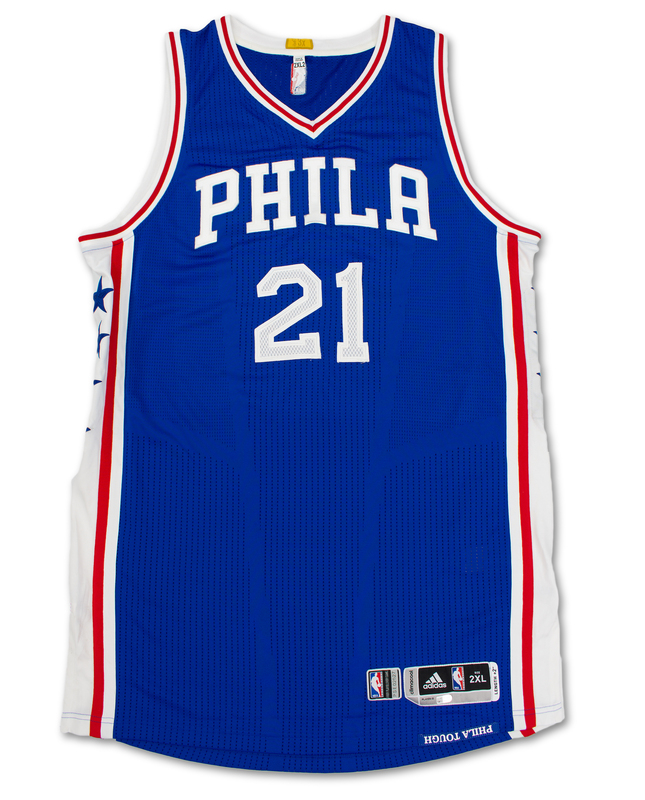 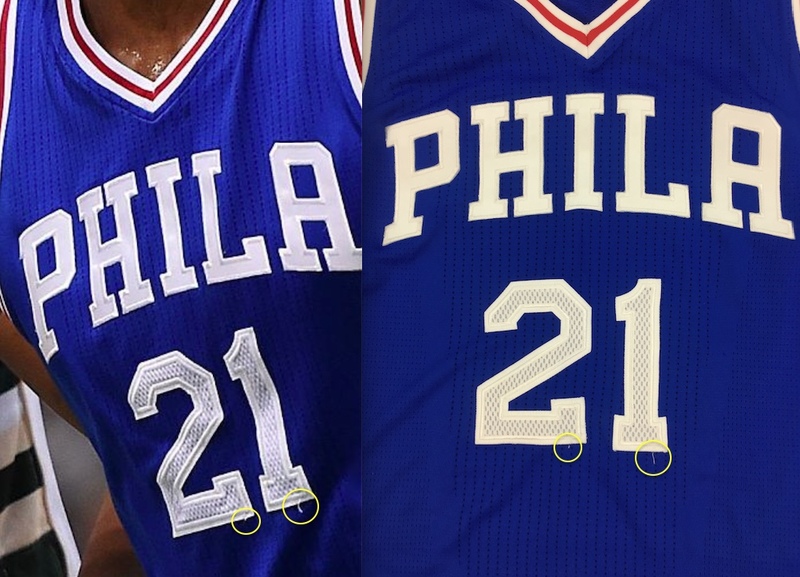 This sleek and uniquely designed Philadelphia 76ers road jersey was worn by Joel Embiid during the 2016-17 NBA season which was his rookie campaign. 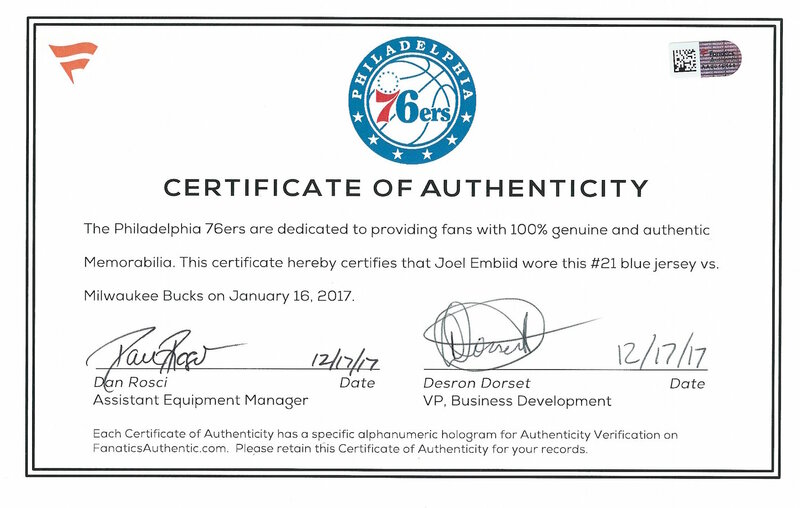 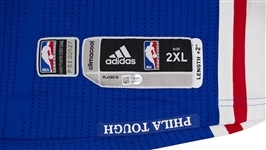 The jersey is authenticated and photo matched to a contest versus the Milwaukee Bucks on January 16, 2017 where Embiid poured in 23 points and 8 rebounds. 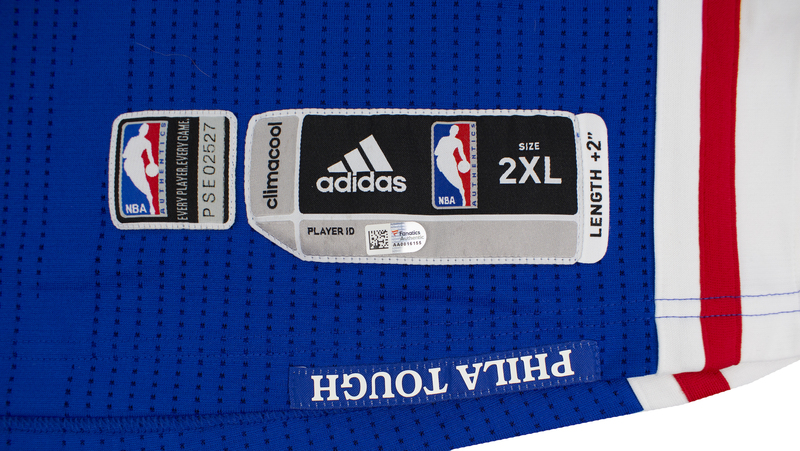 This size 2XL adidas garment shows signs of game use with loose threads throughout. 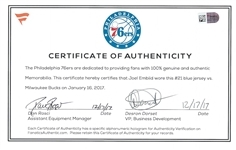 The jersey is accompanied by a Fanatics/76ers certificate of authenticity (Fanatics Hologram #AA0016155) as well as a photo match letter of authenticity from Real Game Used (RGU). 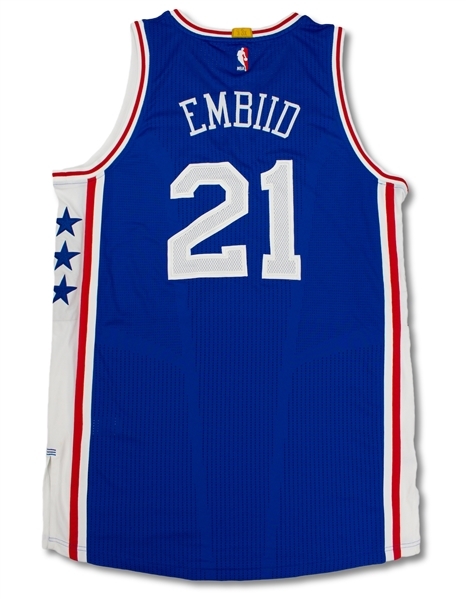 Emiid is one of the NBA's brightest young stars and is arguably the best true center in the NBA with exceptional post moves, ball handling and shooting range for a man of his stature.